Whether it’s a home office or an office in your day job, it won’t be comfortable unless you have a good functional desk. Not only that, style matters just as much too, if we’re talking interior design. 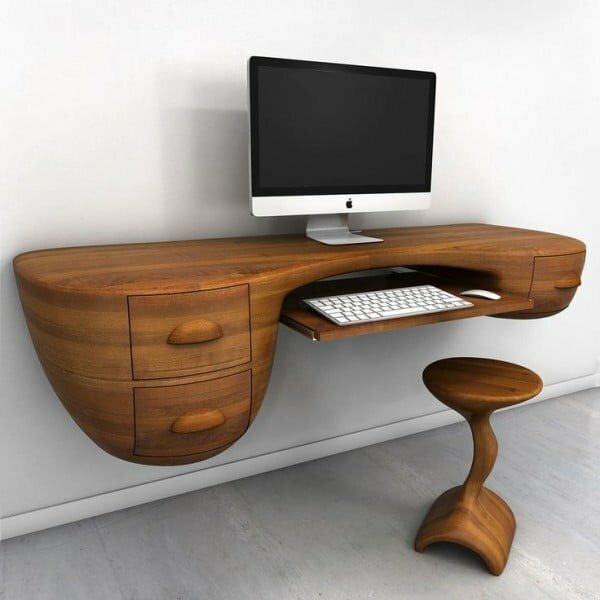 So today we’re taking a look at 15 modern desk designs that are stylish as much as they are functional. Wouldn’t you enjoy your work space more having one of these for yourself? 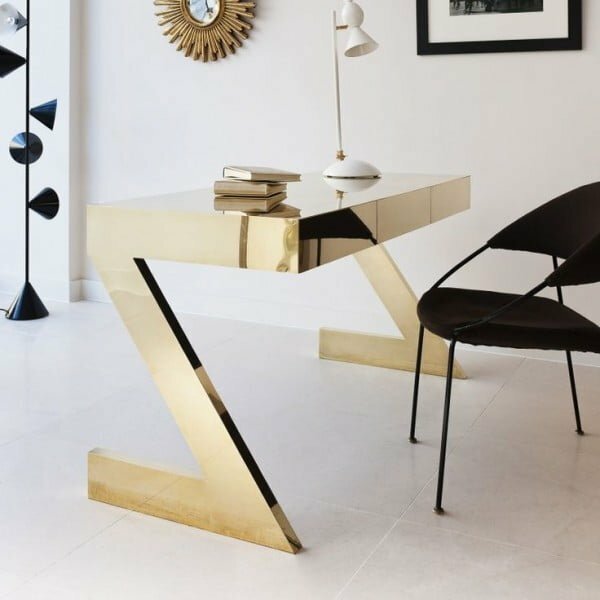 This gilded minimalist style desk is sleek in its form and works so well with lots of white tones and black accents. This design embraces angular forms and it works really well for a comfortable design as well as to provide extra storage. 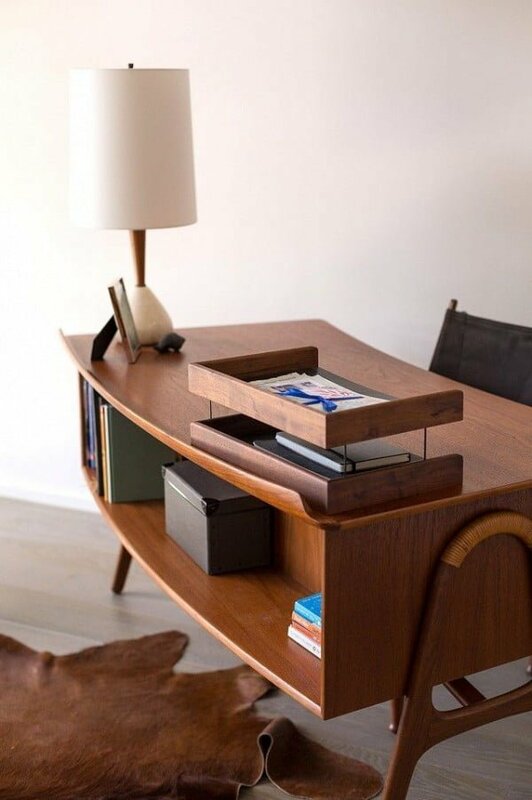 The warm wood finish of this desk is perfect for a home office, slightly rounded curves make the work space look even softer. 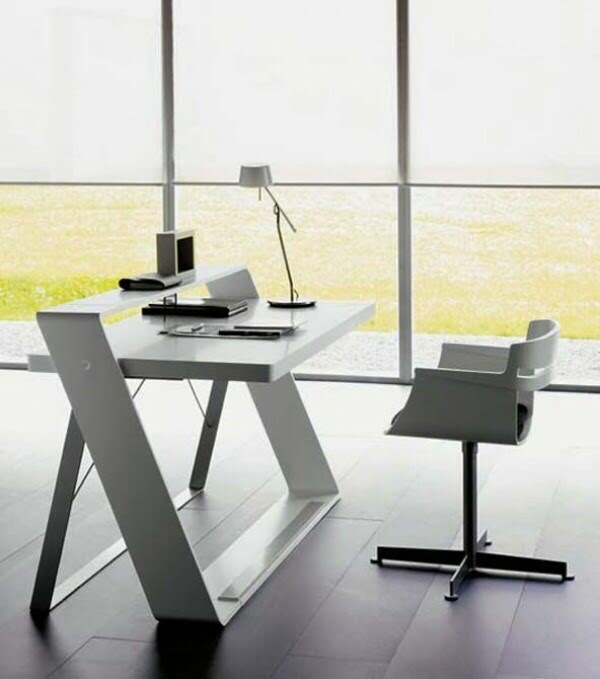 The thin profile of this desk is all about providing as much desktop space as possible. The built in storage shelves are left open to keep the design light. Sculptural designs aren’t as much functional as they work to emphasize the modern look. This very minimalist suspended shelf design is perfect for a work space in a small household. 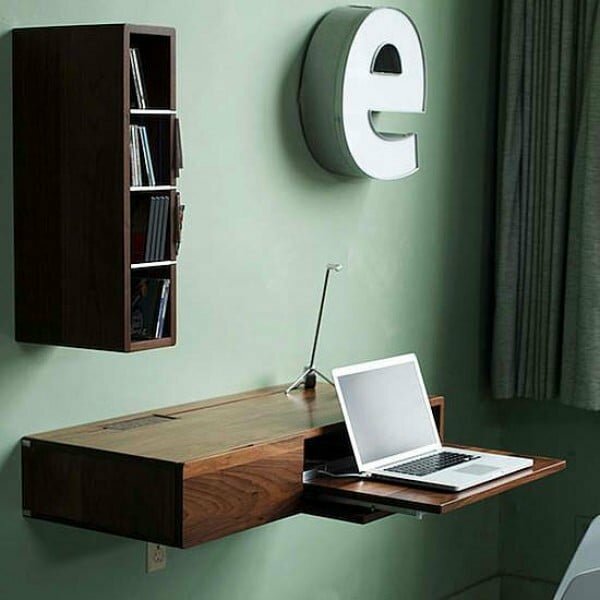 This desk design features a dip shelf that separates a double desktop, which can be used to keep handy files. 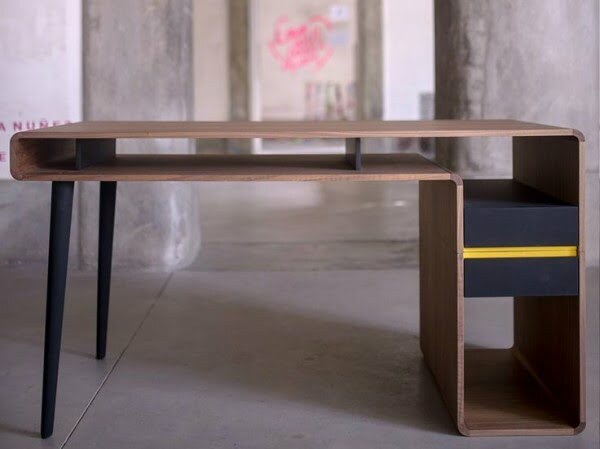 Functional designs that make the most of limited space are great for small spaces, like this stackable desk. This design features a glass desktop that puts storage under display. 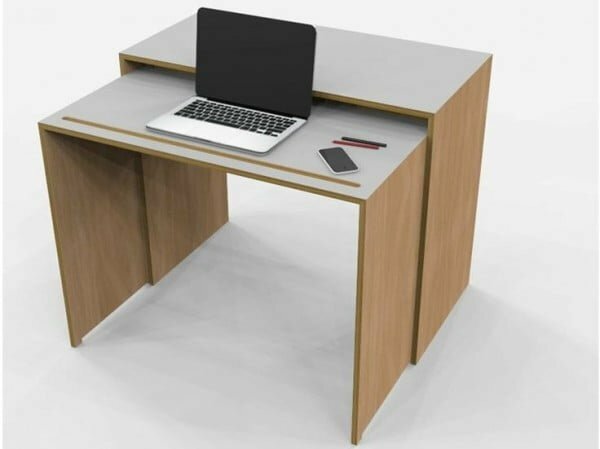 The thin profile of the desk keep is visually light which is also great for smaller spaces. This is how a simple bookshelf can be built into an office desk. 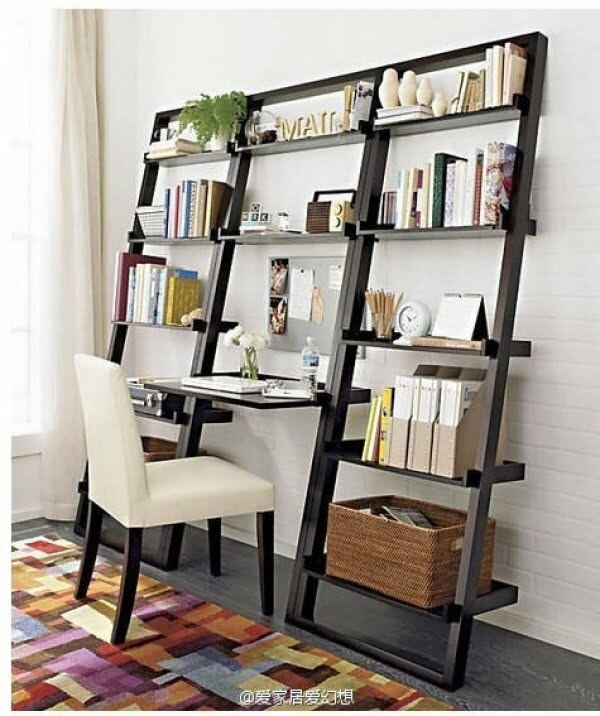 A clever solution to double as storage in a home office space. 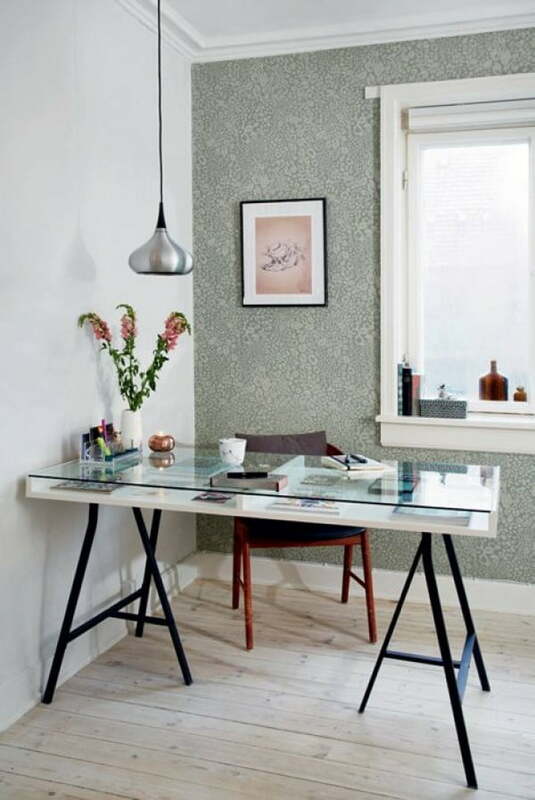 This design brings some whimsy into a work space which will always make working that much more enjoyable. 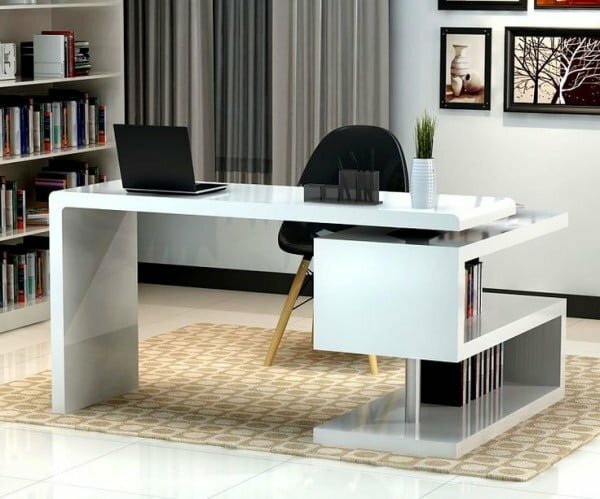 This sleek design combines architectural and minimalist style to make an elegant desk. 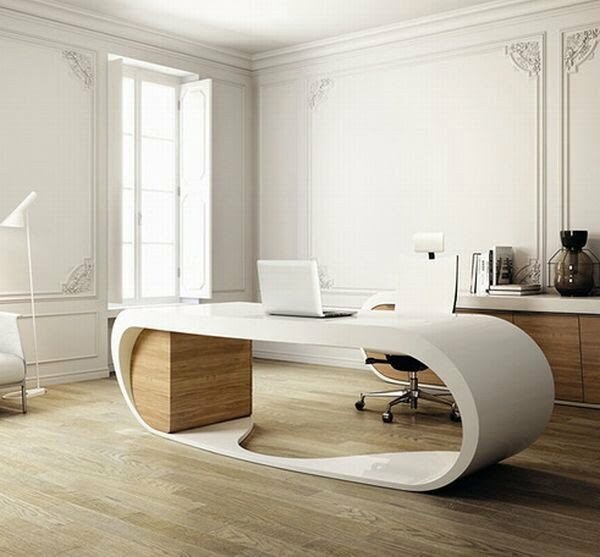 Creating functional minimalist design with decorative interest isn’t easy but this desk pulls it off perfectly. This design isn’t the most functional on the list but its whimsical appearance has a lot of appeal. 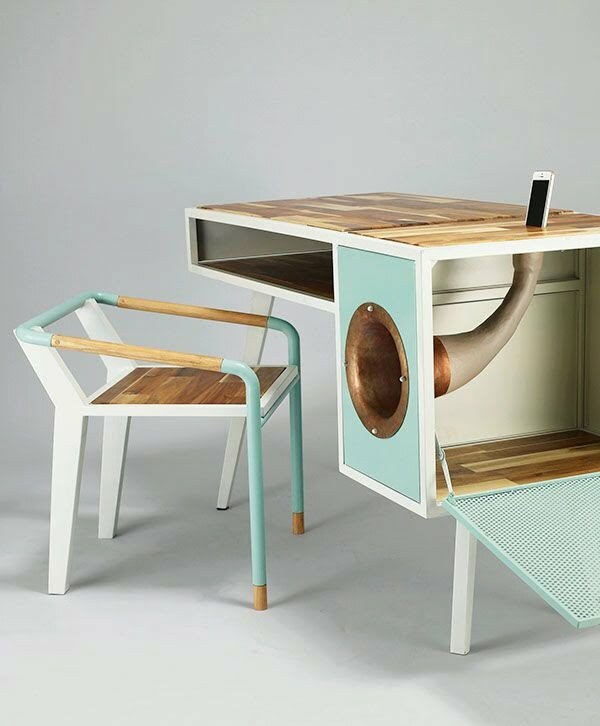 At the heart of the desk is a vintage style sound amplification system for a smartphone. Ladders have been used as visually light storage units in recent years of home decor, and this desk design takes it to another level.